Auckland based Bobbi Brown trainer and makeup artist Olivia Wild could not have picked a more perfect career. As a makeup artist, she is living her dream working with one of the countries top beauty brands. Editor Trudi Brewer discovers her beauty gems inside her super tidy inner city villa. A champion for the ‘barely there, glowing skin make-up' movement, Olivia Wild is an artist. An influencer in the field of skin and makeup trends, this woman knows her way around a makeup brush. Working with one of this countries most luxurious beauty brands Bobbi Brown, Wild knows the staples every woman should have in her make-up bag, and when it comes to editing her home, her philosophy is: "Surround yourself with the ultimate edit of your favourite things only". Who better to ask for their makeup rules than one of this countries best beauty trailblazers. Every day is different. I start super early, with a gym session at 5:30 am, and then I go home to get ready for the day. 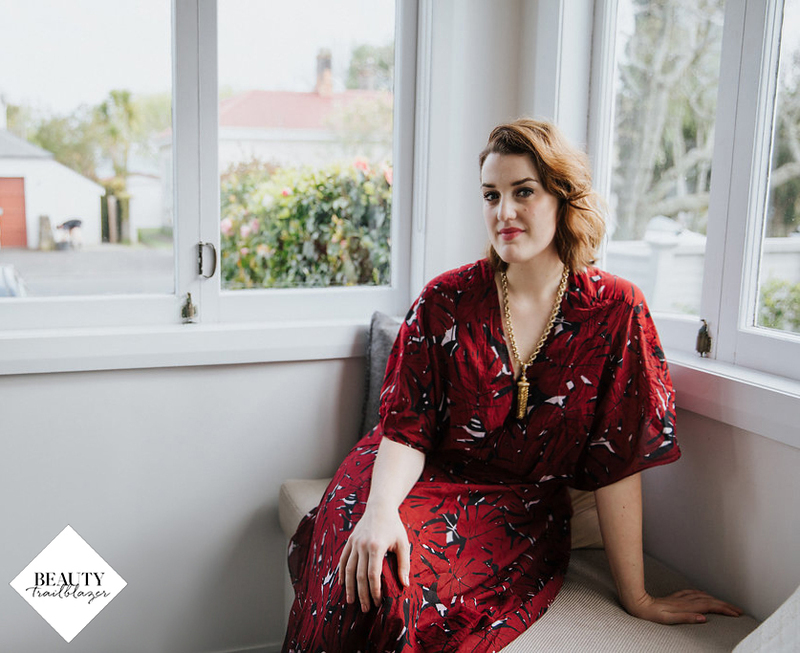 I'm either in-store training artists in different locations around New Zealand, or recruiting, helping find the best makeup artists, to working on international pro artist events, photoshoots or working on new product launches. And finally in our head office catching up on admin. My career reflects my passion, and it's something I truly love. I am part of the most incredible and inspiring team of women who all support each other. The Bobbi Brown brand is part of Estee Lauder Companies (ELC), so I am part of the global team, with that I have been given incredible opportunities to work and travel, such as working backstage at New York Fashion Week. I know anything is possible working for ELC. But particularly Bobbi Brown Cosmetics - their ethos and philosophy is one of positivity and being confident to embrace who you are and follow your dreams. Being trained by Bobbi Brown herself. I even had to do her makeup, which she critiqued - thankfully she loved it. Being on the Bobbi Brown Pro Global Makeup Artist team for NYFW. And more recently, meeting Global President of ELC Fabrizio Freda. How has your career influenced your style? Representing a global brand, it's important to reflect that, while incorporating your unique style. Being a makeup artist, it's important to look on point. However, your look needs to be practical and comfortable. I am constantly amazed by the power of beauty. To me, being beautiful means being kind, regardless of looks. If you have a warm energy, this truly affects how your outer beauty is perceived and the impression you leave on those around you. Creating beauty as a makeup artist, I always try to accentuate the positive or the features that a particular woman loves about herself. Makeup allows you to enhance your looks so that you feel confident, like fashion it's an avenue for self-expression, so have fun with it. What beauty advice do you find yourself sharing every day? Invest in good skincare. A great skincare routine is going to help your skin look younger, plumper and fresher. Also - look for the positive. Most women sit in the makeup chair and apologise for how they look, do not apologise, this is you, you are unique and beautiful in your own way - own it. What are the concerns women over 30 share when they sit in your makeup chair? The Bobbi Brown philosophy is to look for the positives, not the negative. A common theme is when women say they look tired and they want their makeup to provide coverage without it looking like they have any foundation on their skin. What should every woman carry in their beauty bag this summer? Bobbi Brown Face Mist, Skin Foundation Stick, Pot Rouge in Calypso Coral, and Lip Balm SPF15. This combination of products instantly refreshes your skin, giving you a healthy, pretty hydrated-looking glow. What is the latest makeup buzz that you are excited about right now? Skincare used as makeup. Focussing on clean beauty looks using very little if any foundation or just our Retouching Face Pencil or Instant Full Cover Concealer to correct and perfect skin just where you need it. How have you streamlined your beauty bag for travel? I have a travel makeup bag that I keep packed and ready to go. I have a healthy selection of travel size products that I switch up for each trip, depending on how my skin is feeling at the time. Makeup-wise, everything has to be there for a reason, but I like to have options. What is your ultimate skincare essential? Bobbi Brown Extra Face Oil and Hydrating Face Cream. This is a winning combination of oil and water combined to combat dry, dehydrated-looking skin. What is on trend when it comes to colour? Stained-looking lips. Colour that looks pressed on the lips to leave a barely-there, kissed looking-stain - our new Crushed Lip Color does just that. What is your top anti-ageing makeup tip? A face mask used to offer multi benefits. If you're using a deep hydrating mask, apply a skin serum first, the mask will help the serum penetrate faster, and your skin will benefit from this combination. What tips have you picked up from other makeup artists? I'm lucky to have the top makeup artists in the world as my mentors. With foundation, start at the center of the face, and then blend outward. Press face oil onto the skin after you have applied your foundation, especially around the mouth where the foundation can oxidise and change colour due to skin dehydration. Bobbi Brown Extra Face Oil is a dry oil, which means it will fully penetrate into the skin rather than sitting on top and looking greasy. What would we always find in your beauty bag? Bobbi Brown Parisian Red Luxe Lip Color, Eye-Opening Mascara, Intensive Skin Serum Foundation, Corrector and Creamy Concealer, Hydrating Eye Cream, Clear Brow Gel and Highlighting Powder in Pink Glow. What is your desert island makeup product for summer? Bobbi Brown Extra Face Oil. Tom Ford Neroli Portofino Fragrance Spray. I live in my best friends house who is currently living in Melbourne - and it's my sanctuary. It is my happy, peaceful place to recharge, relax, listen to music, eat great food and spend time with friends. Clean and inspiring spaces, with minimal clutter. I love to be surrounded by beautiful things that have sentimental value, such as my collection of jewellery and unique pieces of art. Wilds bedroom and some of her most treasured possessions, a hand written note from Bobbi Brown, necklace, Angela Deane art and a first edition Vogue beauty book. What do you always have on your bedside table? I like to keep my bedside table clear as I think it’s important to sleep in a calm space. However, I always have my Bobbi Brown Face Mist, and Hydrating Eye Cream, oh and my iPhone. What is your favorite room? My bedroom, it's always soaked in sunlight, and warm. I love the built-in corner chair to sit in the late afternoon sun- it’s divine. Photographs and my Angela Deane art. What’s your best interior advice to others when it comes to home making? Be organised. Cull items you don’t need or use, your home should have the ultimate edit of only your favourite things.